WOW!! 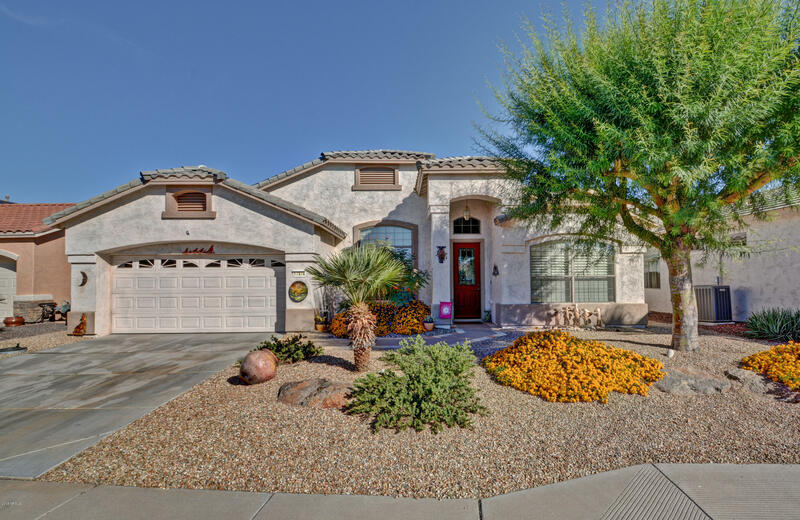 Highly upgraded, beautifully decorated PHOENICIAN in the 55+ golf course, resort-style, guard-gated community of AZ Traditions. This home has everything that you can imagine & is perfect for entertaining or just enjoying the privacy of your own back yard retreat with a pool, spa & outdoor kitchen. It offers a split master bedroom plan (for privacy), 2 guest bedrooms & 2 remodeled baths with walk-in showers, formal dining, formal living plus another living area that is open to the island kitchen and overlooks the back patio, a gourmet kitchen w/cherry cabinets, granite counter tops, stainless steel appliances and 2 pantries. It also features surround sound in the living area, 2 year-old Lennox air/heat & new ducts, tiled floor & built-in cabinets in the garage, solar panels & more! !